One of my most favourite cuisines ever is Provençal cuisine. My fondness doesn’t stop at that! I have a specific love – which I cannot explain – to that spot of earth! The French Provence. 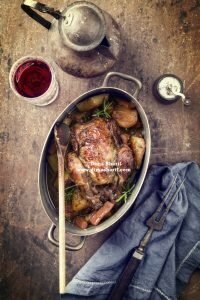 Very often – and recently more than ever – I find myself longing more and more for a life in a country house somewhere in Provence with a small stretch of earth, where I get to grow my own herbs, trees and floral bushes… where I get to cook my take on that cuisine using its seasonal local produce, all in a woody and rustic country kitchen. 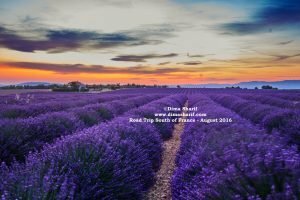 I would love to wake up everyday to the herbal and floral Aromas of lavender and rosemary being brought together in holy matrimony to take part in the whole of the fragrant Provence. What can be better than sipping on fresh orange juice while looking out onto fields of colour and fresh produce? And while I can indulge that dream with frequent visits, perhaps one day, I might find myself there to stay…. Come to think of it, growing up, I was always around flavours of Provence. Maybe because my family’s business was in farming, or because back then Jordan was more agricultural in nature and its natural produce was somewhat similar to that in Provence. From olive trees, to lavender, fennel, sage, rosemary to bay leaves… moving on to citrus fruits including the thick skinned citrons, to grape trees, cherry trees, fig trees, plum trees, and apple trees in all varieties… all were grown in Jordan and were all around us! I remember munching on their raw, natural gifts up until I moved to live abroad. Sadly, although Jordan still has an agricultural side to it, it is nothing like it used to be! Today, it seems that – just like the trend is everywhere – trees have been replaced by buildings and farms with touristic attractions! The natural simple joys have been replaced with adrenaline packed rides, water slides and urbanised landscape! For that reason, I dream up Provence, which is reminiscent of some good old times! Provence is a vast region in South Eastern France, on the Mediterranean adjacent to Italy. 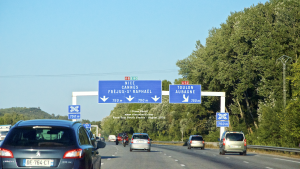 The area is also referred to as the French Riviera and locally as the Provence-Alpes-Côte d’Azur. It is the countryside of France, very well known for its picturesque landscape with hues of pastel colours touched with the soft light of its favourable climate. Lavender purples, poppy reds, sunflower yellows and olive greens are but a handful of the array of colours naturally painting its hilly terrain. 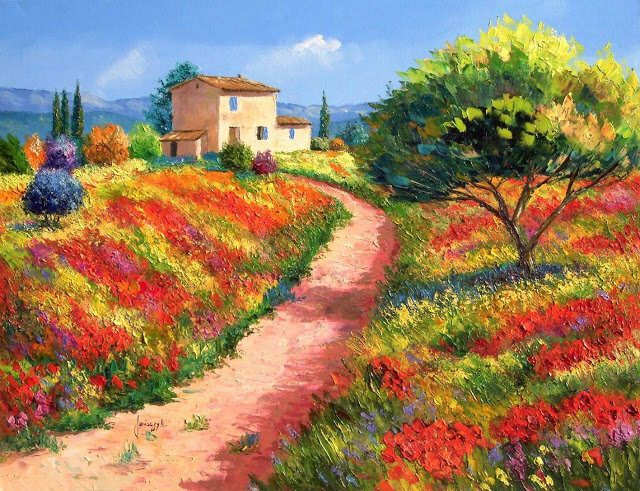 The fragrant and beautiful Provence can stimulate the imagination and creativity in ways that no other region can, so much so that it has inspired the great works of writers and artists the likes of F. Scott Fitzgerald to Van Gogh and Picasso, who regularly turned to Provence for inspiration. 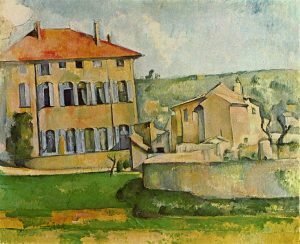 Provence was also home for the great French artist Paul Cézanne. To him, the region is resonant with memory and emotion, his grounding and home, which lead to him concentrating much of his extraordinary pictorial talents there – creating from that landscape some of the most remarkable and original images in late nineteenth- and early twentieth-century art. The inspirational influence of the Provence region was not limited to arts and Literature, it has magnificently influenced French Cuisine, through its colourful gastronomy, which became known and popularised in Paris at the time of the French Revolution. Today, Provençal cooking continues to live on as an influential and undivided part of the French cuisine’s heritage. It is also one of the world’s most favourite cuisines. Provençal cuisine is defined by the region’s landscape and its generous offerings. 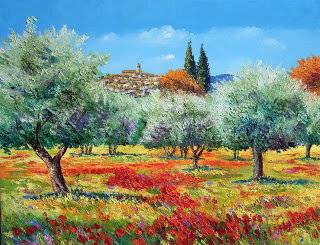 In Provence, olive trees (olives & oil), fennel, sage, rosemary, thyme, lavender, marjoram, bay laurel trees and garlic all grow naturally and are found in abundance. These races of produce are used in the region’s cuisine as abundantly as they are found in its nature. Dishes a la Provençal are characterised by the presence of Tomato and lots of garlic and herbs amongst the other ingredients. Wine is also used abundantly in Provencal cooking. The flavours of Provençal cooking are bold and robust, yet never heavy-handed. The ingredients are mixed together in a way to meld without any of them overpowering the other. Not even the use of lots and lots of garlic, which is characteristic of Provençal cooking, will make it stand out. Anibal Camous, a Marseillais who lived to be 104, maintained that it was by eating garlic daily that he kept his “youth” and brilliance. When his eighty-year-old son died, the father mourned : “ I always told him he wouldn’t live long, poor boy. He ate too little garlic !” Cited by chef Philippe Gion, who teaches provencal cooking in Côte d’Azur. The Provence and Côte d’Azur region is rich in quality citrus, vegetables, fruits, and herbs; the region is one of the largest suppliers of all these ingredients in France. The region also produces the largest amount of olives, and creates superb olive oil. Lavender is used in many dishes found in Haute Provence. Other important herbs in the cuisine include thyme, sage, rosemary, basil, savory, fennel, marjoram, tarragon, oregano, and bay leaf. Honey is a prized ingredient in the region. Seafood proliferates throughout the coastal area and is heavily represented in the cuisine. Goat cheeses (most produced and preferred), air-dried sausages, lamb, beef, and chicken are popular here. Garlic and anchovies are used in many of the region’s sauces, as in Poulet Provençal, which generally uses white wine, tomatoes, herbs, and sometimes anchovies, and Pastis (an anise-flavoured french spirit and apéritif ) is found everywhere that alcohol is served. The cuisine uses a large amount of vegetables for lighter preparations. Truffles are commonly seen in Provence during the winter. Thirteen desserts: are the traditional dessert foods used in celebrating Christmas in the French region of Provence. The “big supper” (le gros souper) ends with a ritual 13 desserts, representing Jesus Christ and the 12 apostles. The desserts always number thirteen but the exact items vary by local or familial tradition. The food traditionally is set on Christmas Eve and remains on the table three days until December 27. Fougasse, a type of bread typically associated with Provence (also found with variations in other regions). They are usually sculpted (slashed) into a pattern resembling an ear of wheat. Along the Mediterranean coast, anchovies are caught and usually cured with salt. this curing process not only preserves the anchovies, but also intensifies their flavour. Anchovies are strongly present in the french countryside cooking. The Mediterranean coast also supplies a number of local fish and seafood. Found in the coastal cuisine of Provence are trout, bleak, sea urchins, mussels, crabs, small cuttlefish, octopus, and the absolutely succulent small snails. Over there, people even have a snails festival, where the residents of a village get together on a late Sunday morning to savour snails in a variety of preparations. When it comes to meats, the Provence is famous for its local Sisteron Lambs as well as goats for meats and from which they also make a variety of local cheeses. The region is also famous for rabbit, which grows wild there. As for fruits and vegetables, the valleys of Rhone are the largest fruit and vegetable producing areas of France. There you will find legumes, fennel, aubergines, zucchinis, and an abundance of apples, prunes, peaches, cherries, oranges, lemons and almonds, figs and of course grapes…etc. One remarkable produce of this area is the truffle. Truffles are gathered in Tricastin (the main market: Carpentras). Another specialty produce is Lavender honey of vaucluse. Wine has been made in this region for at least 2,600 years, ever since the ancient Greeks founded the city of Marseille in 600 BC. Throughout the region’s history, viticulture and winemaking have been influenced by the cultures that have been present in Provence, which include the Ancient Greeks, Romans, Gauls, Catalans and Savoyards. These diverse groups introduced a large variety of grapes to the region, including grape varieties of Greek and Roman origin as well as Spanish, Italian and traditional French wine grapes. Today the region is known predominantly for its rosé wine, though wine critics such as Tom Stevenson believe that region’s best wines are the spicy, full-flavoured red wines. Rosé wine currently accounts for more than half of the production of Provençal wine, with red wine accounting for about a third of the region’s production. White wine is also produced in small quantities throughout the region with the Appellation d’origine contrôlée (AOC) region of Cassis specializing in white wine production. The Côtes de Provence is the largest AOC followed by the Coteaux d’Aix-en-Provence. The Bandol region near Toulon is one of the more internationally recognized Provençal wine regions. Will make sure to post more about the Cuisine Provencal and more of its beautiful recipes, so make sure to come back soon and check the new recipes out.